Part 1 — the first years. Part 2 — Peace Corps on the savanna. Part 3 — arriving in the Mbutis’ forest. Part 4 — learning the forest under pygmy tutelage. Part 5 — returning to Eden. Part 6 — generations along the Epulu. Part 7 — accepting and preserving the ways of the forest. Part 8 — coming to stay and passing through. Part 9 — miracles in the forest. 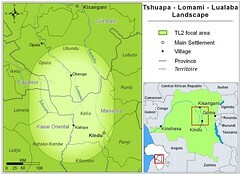 Part 10 — war in the Ituri.